Tickets on sale for an evening of music inspired by books. Be enchanted and enthralled with entertainment this Saturday when The Bookshop Band visits St Francis Church, Leyfields for a performance of a mesmerising musical delight. 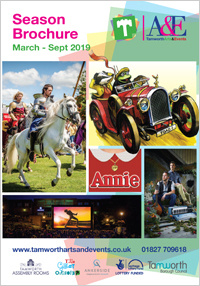 Tamworth Borough Council’s programme of Arts & Events continues this Saturday, October 27, at 7.30pm, with a musical evening of ‘Touring Theatre’ when Ben Porter and Ben Please bring books to the stage along with a multitude of instruments. Their distinct voices create a cinematic sound that draws the audience right in to a highly intimate and often funny performance. The songs are the musical outpouring of the band’s own response to books they have read, delicately crafted to four-minute folk-pop songs. Tickets are available from the church booking office on 01827 65926, priced at £7.50. The performance is suitable for children aged 9 years and above. Touring Theatre offers a range of high-quality shows being staged in familiar but unusual community locations in a bid to increase opportunities for people to experience the arts. It includes a number of exciting initiatives for Tamworth, designed to bring the arts to all corners of the community. 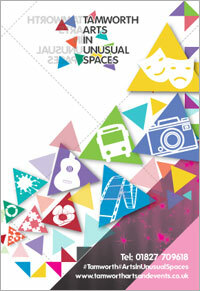 The council’s Arts and Events team have a busy programme of events over the next few months. Full information, including ticket details, is available online at: www.tamworthartsandevents.co.uk, or by calling the Box Office: 01827 709618.